Budget brand, Medion, will be pushing new products through Aldi supermarkets this Australia Day weekend. They include a new desktop PC, a 15.6in notebook, and a 4.5in Android smartphone. The products go on sale from Saturday 24 January, and will be available until stock is exhausted. E4010 E (MD8322) Multimedia PC. The desktop PC is Medion's E4010 E (MD8322) Multimedia PC System, and it's a small-ish Windows 8.1 PC that's based on an AMD A8-7600, quad-core processor. 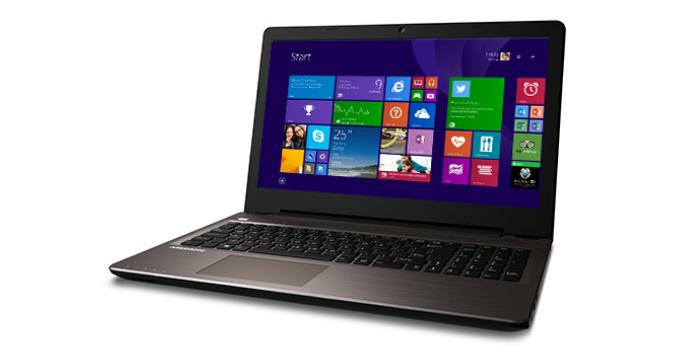 The rest of the configuration includes 4GB of RAM, a 1TB hard drive, and there is integrated 802.11n Wi-Fi. It has a newer finish than we're used to seeing on Medion desktops, which Medion calls the 'carbon look'. The price is $499 and this includes a keyboard and a mouse. 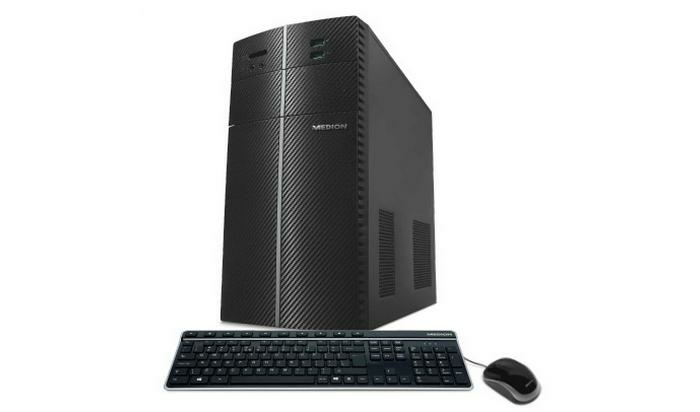 While we haven't reviewed this new system, we did review a similar Medion system to this one back in August 2014, which featured the same CPU: Medion Akoya E4110 (MD 8239) desktop PC. The notebook computer on offer is the Medion E6416 (MD 99499). This Windows 8.1 notebook has a 15.6in screen with a native resolution of 1366x768, and it's based on a 5th generation Intel Pentium 3805U CPU. The rest of the configuration includes 4GB of RAM and a 1TB hard drive, and it also includes 802.11ac Wi-Fi in the form of an Intel Wireless AC 3160 module. It also includes the following: an HDMI port, Gigabit Ethernet, two USB 3.0 ports, two USB 2.0 ports, VGA, an SD card slot, and a 4-cell battery. The weight is reported as being 2.27kg, and the thickness is 25mm. The cost is $499. Life P4502 (MD 98942) smartphone. 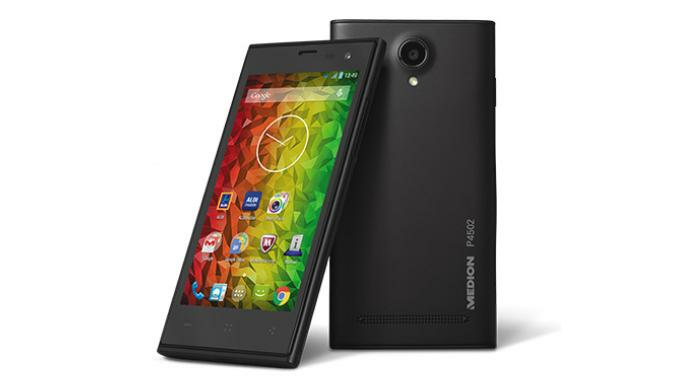 If a cheap smartphone is what you're after, then look out for the Medion Life P4502 (MD 98942). This is a 4.5in smartphone with a qHD (960x540-pixel) screen, and it runs the 4.4 KitKat version of Android. There is 1GB of RAM, 8GB of internal storage, and a microSD card slot for cards up to 32GB. Reported weight is 145g, with dimensions being 69mm wide, 134mm tall, and 11mm thick. The cost is $149.